Wilhelm Altendorf GmbH & Co. KG is at LIGNA 2017 to present the world premiere of Altendorf MAGIS, a pioneering new operator guidance system for sawing. It's exactly 111 years since furniture maker Wilhelm Altendorf designed a saw where the material is fed to the saw blade while supported on a sliding table. 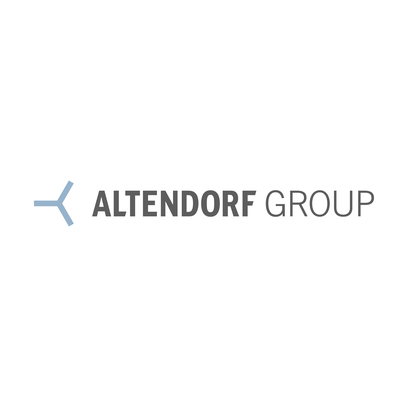 Unfortunately we cannot say whether Altendorf had any idea his invention would go on to become a true legend and that the Altendorf company, based in Minden, Germany, would become a global market leader in sliding table saws. However, the company has clearly shown a real spirit of innovation time and again over the years. And now, as LIGNA 2017 opens its gates in Hannover, Altendorf once again offers a world premiere - Altendorf MAGIS. The MAGIS system developed in-house provides operators of Altendorf sliding table saws with visual guidance through a pre-prepared cutting plan. "The Altendorf MAGIS system is the first digital mobile operator guidance system for sliding table saws," explains Altendorf Managing Director Joerg F. Mayer. "It shows the operator the cutting sequence to follow for fully cut-optimized panel processing. Being mobile, it can be used with any Altendorf sliding table saw and simplifies the operator's work enormously. Altendorf MAGIS also helps enhance safety in the workplace and reduces the time needed to complete a defined job on the machine. The Altendorf MAGIS system consists essentially of software, tablet and tablet mount for the sliding table saw."